Grand Ch. 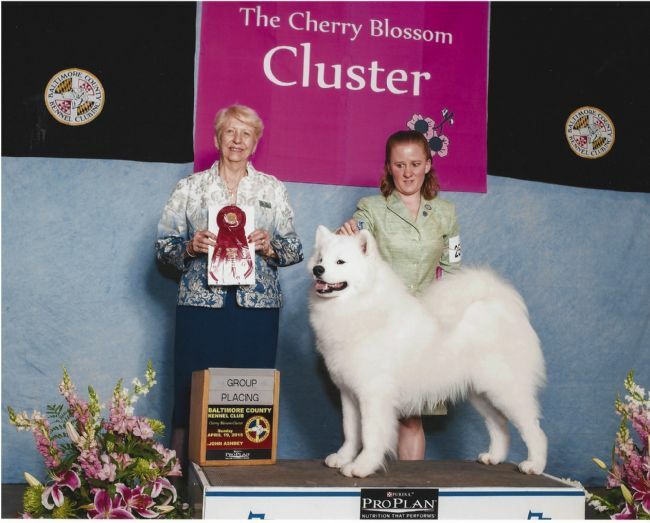 White Magic's Shake Your Groove Thing, BIS "Shaker"
"Shaker" wins a huge best of breed the day after the Potomac Valley Samoyed Club Specialty and a Working group 2!! "Shaker" is only 18 months old and the #1 owner handled samoyed in the country! !